Yep, for those of you who need an excuse for it, our 40th President, Ronald Reagan, made July National Ice Cream Month. Woo Hoo! And isn't it a great thing for those of us living in Indiana that we live in the second largest producing state of this summer treat! Remember, Tall Guy's family used to run a small dairy up until we were married! Stay with me to end of this post to learn about an great event coming to downtown Indy at the end of this workweek! Here are some fun facts about Ice Cream from the Winners Drink Milk webpage! * It takes an average of 50 licks to polish off an Ice Cream cone....Try it! That's more than it takes to get to the center of a Tootsie Pop, a lesson learned in my generation's time! * By itself, Ice Cream is a great source of calcium, Vitamins A and D, protein, and phosphorus. Add healthy toppings like fruit and nuts, and it's even more beneficial! First and foremost, you have to have milk to make Ice Cream, and Indiana is growing in its number of dairy farms every year. 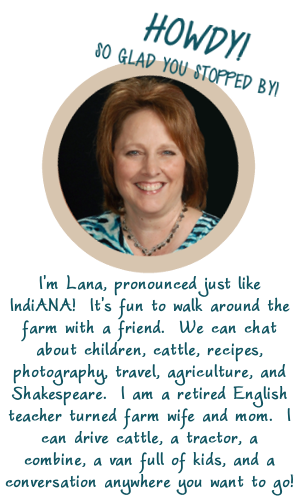 It's always fun and interesting to put a face to the people who produce my food, so I would like to introduce you to Sarah Kuehnert and her family from up in northeast Indiana. 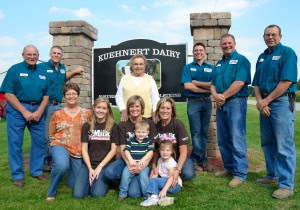 Her family works along side her husband's family to run Kuehnert Dairy Farm. As you can see, everyone has a job on this farm where Sarah's husband is part of a Fifth Generation dairy with 300 registered Holsteins just outside the city limits of Fort Wayne, Indiana. Today FOUR generations work side by side on this family's farm. Every member has found a niche in the production process. Sarah, a registered dietitian at St. Joseph Hospital part of the week, is in charge of the farm advertising and social media. Her husband Nathan, sees to the health and breeding of the herd. It is a 24/7, all hands on deck kind of operation. 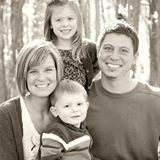 Sarah and Nathan know the importance of milk in our daily lives because they are the proud parents of daughter Allie, age 5, and son Bryar, age 3. 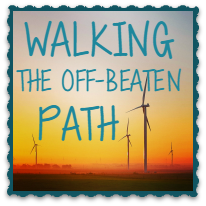 While their children are not holding regular jobs on the farm right now, their parents look for every opportunity for them to have connections to the farm. Sarah stated, " It is our desire to raise Allie and Bryar to be active on the farm and to teach them the role of responsibility." 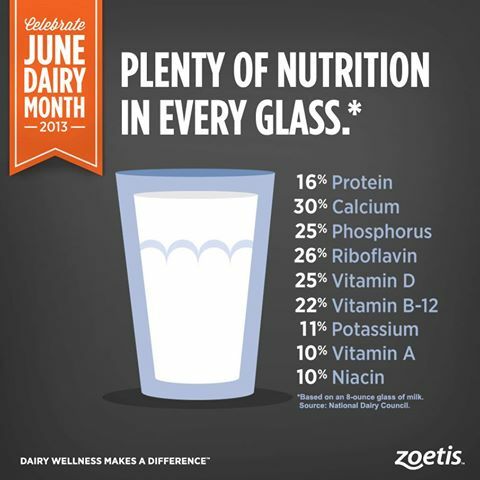 Here's a breakdown of just how great milk is for you at any age! 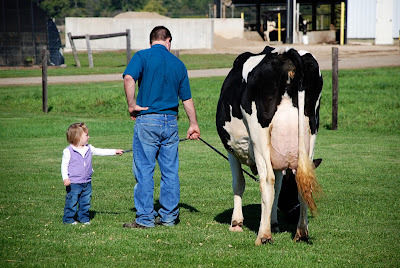 Exciting news on the Kuehnert Dairy Farm is the new addition of a Kuenhert Dairy Fall Festival in just a few months that will include farm tours and open their farm and family story to the public. It will be a chance for them to live up to the Kuehnert Dairy Motto: "We strive to feed the world by being good stewards of the land, excellent caretakers of our cows, and great neighbors to our community." Keep your eyes and ears open for more information coming later about this event! 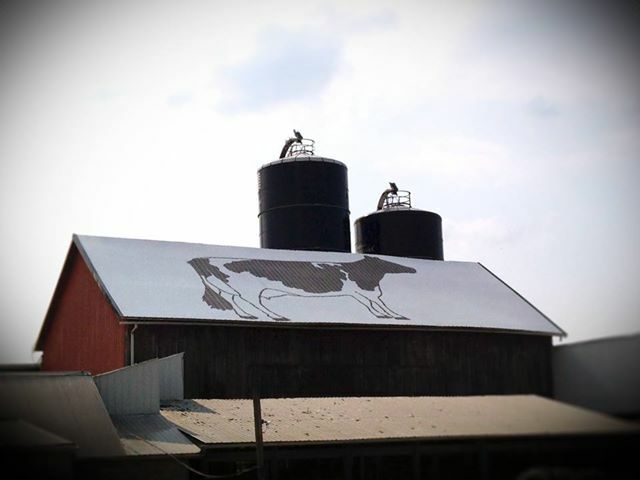 Just look for this lovely art on the roof of their barn when you head out their way. By now you have got to be craving some cold, rich, creamy ice cream. I am after reading all about the Kuehnerts. One way to satisfy this craving is to run out and buy some ice cream right now! Those of my readers close to the Indianapolis area are in for an even bigger treat at the end of this work week! It is time to celebrate National Ice Cream Month by attending the American Dairy Association's 24th Annual Ice Cream Social this Friday on the southeast side of Monument Circle, the center of our state capitol's heart. MARK YOUR CALENDAR NOW! It runs from 11-2:00 p.m., and it will cost you just $3 for a gigantic sundae with all the works! 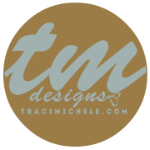 CLICK HERE for more information because there will be celebrity scoopers and a large variety of entertainment. You might even see a picture of yourself if you attended last year's fun event. Thanks to Sarah Kuehnert for taking the time to chat with me. Every day is a busy day on the dairy farm. Remember them and all the Indiana dairy farmers as you enjoy your milk, cheese, and ice cream. They work hard every day around the clock to provide us with the most nutritious way to start our day! Got Milk? If not, you better go get it! We are Huge milk drinkers at our house! Awesome post! I'd love to be at the circle :( but it's just a bit too far away. BUT, you didn't have to talk me into it, I'll definitely have a ice cream sundae to show my support!! Love that cow on the roof! every barn should have one. 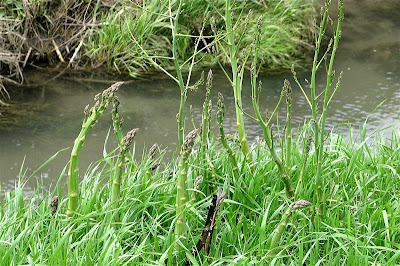 :-) Great post.